Aloha! 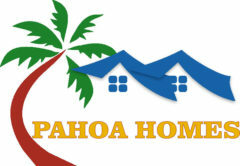 Welcome to Pahoa Homes! Whether you’re thinking about relocating or to invest in a property, we invite you to discover the quaint lifestyle in the archaic town of Pahoa. Take a look at our featured Pahoa homes or browse through our advanced home search tool for you to discover the Pahoa home that is best suited to your taste and lifestyle. Pahoa is a small town in the southernmost part of the Puna District on the Big Island of Hawaii. In Hawaiian language Pahoa means knife or dagger, perhaps this little town got this name because it is characterized by jagged coastline and rugged land diversity. This town is characterized by its century-old buildings and raised wooden sidewalks along its quiet main street which gives a nostalgic feeling as you walk in it. Pahoa also features an eclectic community as reflected in its surroundings and the people that live in it. Several natural wonders are found in Pahoa like its black sand beaches, fresh water ponds that is volcanically heated, steam vents and seaside tide pools along its coastline. Its countryside is colored by its tropical fruit orchards and forests, lava trees and open pastures. People who reside in Pahoa comes from all walks of life and there is a mix of different ethnicities and cultural heritages. They live in harmony with one another in the true spirit of aloha. Pahoa homes price has appreciated 4.3% in the last 12 months and 10.87% in the last ten years, with a median cost of $163,800 experts say that it is a good time to buy a home in Pahoa. Live right near the ocean and feel refreshed everyday! Enjoy watching the changing colors of the water in the horizon and see the cruise ships as you hear the whales frolic. Only the road separate this lot from the blue pacific. It is perfect for you to build your dream home near the oceand or make it a part of your investment portfolio. This is a beautiful lot along a paved road which is over 20000 sq. ft giving you ample of room for a beautiful home and a garden. What can get any better than this? Check it out now!